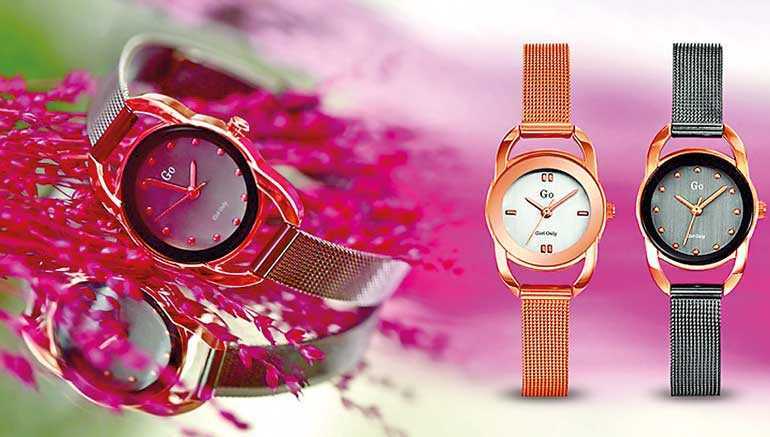 Royal Lanka Agencies Ltd. recently introduced ladies’ watches that reflect a flight of butterflies and now they are available GMT on the 2nd Floor at Majestic City, 3rd Floor at Colombo City Centre and at UrbanTrendz, at the corner of Galle road and Sea View Avenue in Colombo 3. ‘Poetic watches for ladies that flirt with a carefree lightness of touch like a flight of butterflies’, a statement that symbolises all that’s charmingly seductive, now girls have their own collection specially researched and created for them and there is only one name that spells it all: GO! Since its creation, GO remains loyal to its brand’s essence which introduces luxurious quality, a feminine aesthetic combined with artisan elegance. Ladies’ timepieces that are real value-for-money for their end-users. Now available at GMT and at the GMT outlet within the UrbanTrendz multi-brand store, GO watches have been created to become a reflective symbol of themselves, according to their personality and their mood of the moment. A timepiece displaying an uncluttered smart design with a touch of whim and lightness, GO represents stylish watches designed for women who don’t want to go unnoticed but still remain refined and elegant enough to simply dazzle! If you are the woman who is graceful yet all whim and lightness, you should drop into GMT on the 2nd Floor at Majestic City, 3rd Floor at Colombo City Centre and at UrbanTrendz, at the corner of Galle road and Sea View Avenue in Colombo 3.